To start using RadDropDownList just drag it from the toolbox and drop it at the form. Select RadDropDownList and click the small arrow on the top right position in order to open the Smart Tag. 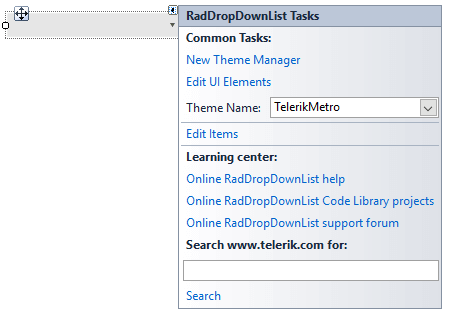 The Smart Tag for RadDropDownList lets you quickly access common tasks involved with building RadDropDownList elements and customizing appearance through themes. Edit Items: allows populating the RadDropDownList at design time. Additional information can be found in the Populating with Data >> Design Time help article. 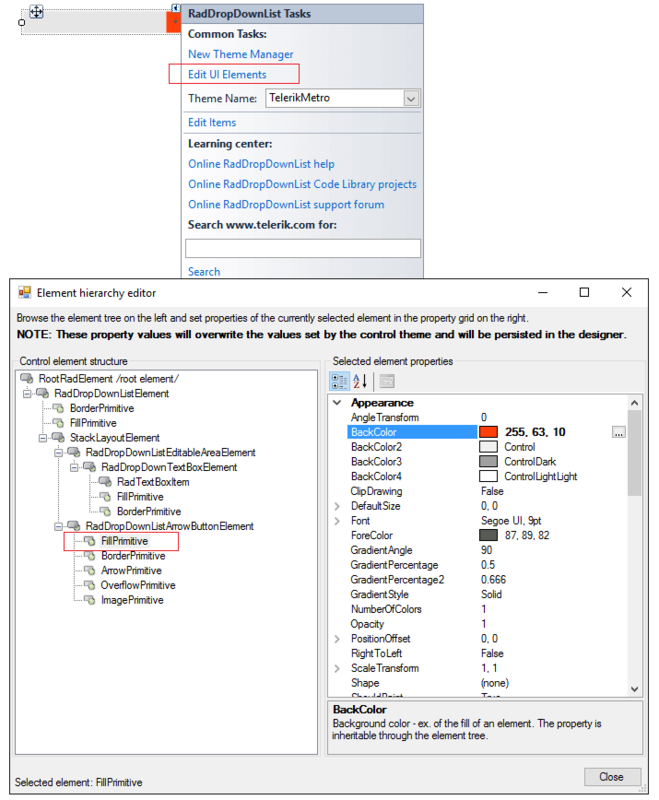 You can bind RadDropDownList at design time by specifying the DataSource, ValueMember and DisplayMember properties. Additional information can be found on the following link: Data binding at design time.